Wysing research residency offers a two-month residency for one Finnish or Finland-based artist at Wysing Arts Centre. 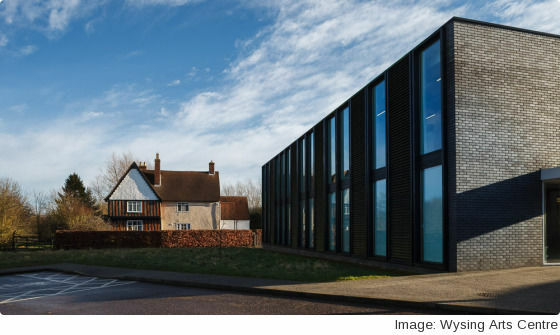 Wysing Art Centre in Bourn, near Cambridge, includes a gallery, education and new media facilities, artists’ studios, project spaces and a 17th century farmhouse. The residency is co-organised with HIAP -Helsinki International Artist Programme. The selected artist will receive £3,500 to cover a research fee and travel costs. The residency includes accommodation in Wysing's onsite farmhouse and a studio. The other artists who will be at Wysing during this time are Maryam Monalisa Gharavi, Imran Perretta and Morgan Quaintance (more information and artists' bios can be found here: http://www.wysingartscentre.org/whatson/residencies/autumnresidencies).